"On service road between Jan Fence & Domino's pizza"
LIMITED TIME ONLY! *HURRY WHILE SUPPLIES LAST! FOR A LIMITED TIME ONLY HURRY WHILE SUPPLIES LAST! 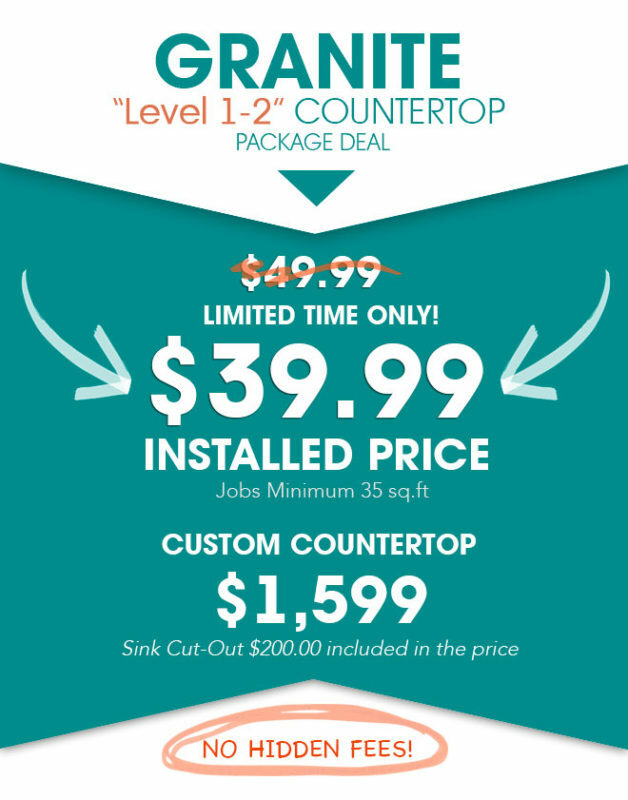 Jobs Minimum 35 sq/ft ***FREE Edges: Eased ***Undermount Sink Cut-Out $200.00 per cutout. Buyer Beware! Always go with a real fabricator with proper licenses, insurance and check their reviews. We have had the Best experience with Aqua Kitchen and Bath Design Center. Manager Ismail was really professional and kind. He did a great job for us very well. My wife now very happy because we have perfect granite countertop which fits perfectly into our interior. Thank you very much for these guys! All work was done on time and really perfect. The installers were very neat and highly professional. I really recommend this company, everybody! 35 Miles Radius from 07470, Delivery charge after 35 miles. This offer cannot be combined with any other offer. Prices and availability of products and services are subject to change without notice. Get started " no cost - no obligation "
We are the leader in fabrication and installation of natural stone countertops in Wayne, New Jersey area. We can proudly say we have made a science of fabricating granite countertops. Our stones are directly imported from over 50 countries all over the world and are available for you on the spot, in our location. 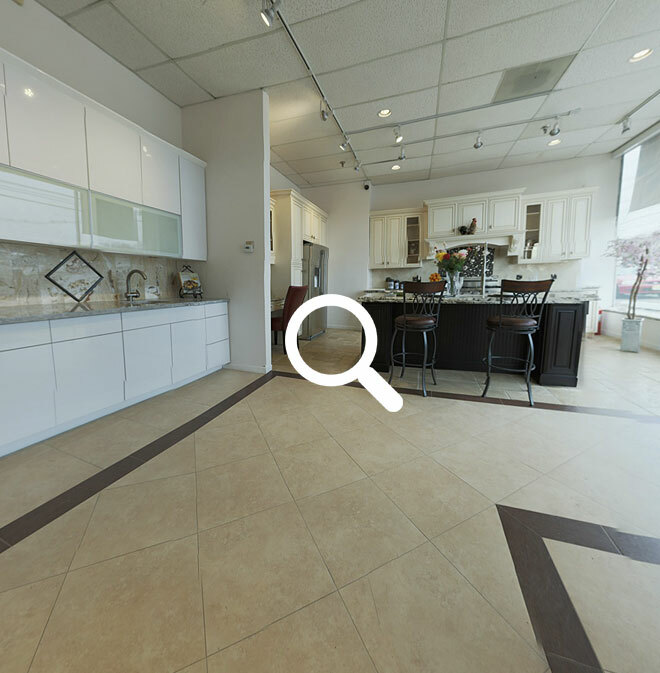 This makes us a true one stop shopping solution for your countertops. We import exclusively premium quality slabs from the most prestigious quarries around the world. We assure you cheapest discounted price in New Jersey. 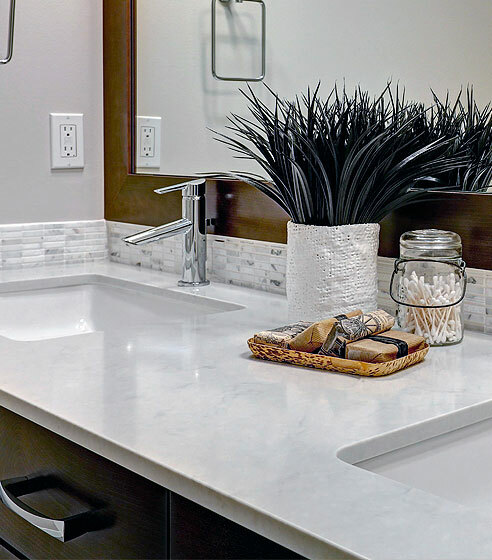 You can rest assured that your countertops will be truly exceptional. Granite countertop installation is one of the main services offered by the Granite Sale New Jersey. 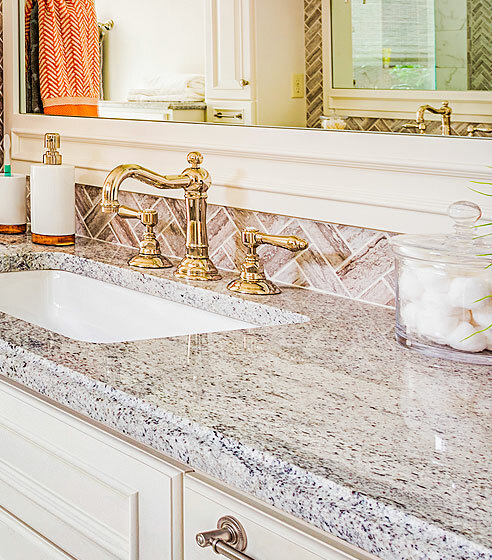 if the customers are interested in the replacement and installation of kitchen and bathroom countertops, they can approach Granite New Jersey without any hesitance and they provide a guaranteed and reliable service. Don’t overpay for granite countertops! Call Granite New Jersey today for a FREE in-home estimate. Great prices, Low prices, High quality, Fast installation. FREE sinks also available for qualifying customers. 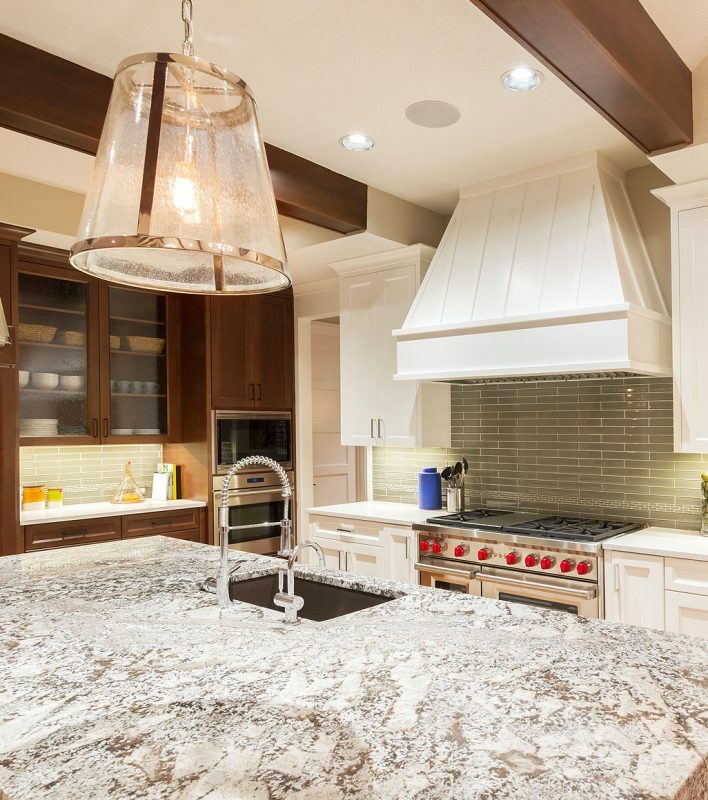 Are you looking for the best granite countertops for the remodeling of your home? Are concerned about the cost of building and you fear that you might not make it in the process? Well, we offer you the best deals in New Jersey area which are aimed at making your work affordable and easy, giving you irresistible that will eventually help you in your project. 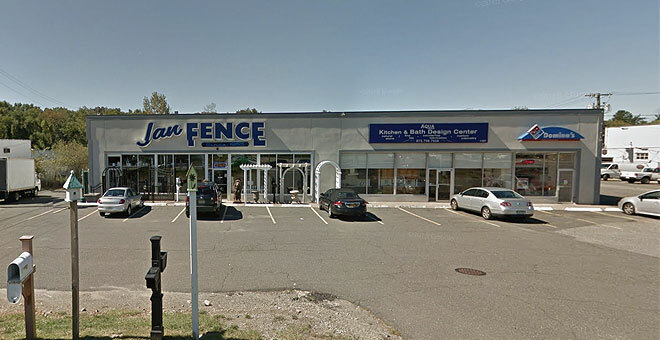 All our Granite New Jersey fabrication centers are fully equipped with the required materials thus saving you time and money during your search. We offer a large selection of granite, marble, onyx & quartz slabs and do not deal with any independent wholesalers at any given time. All our dealings are not aimed at making substantial profits but in ensuring that you have the required services for your remodeling needs. 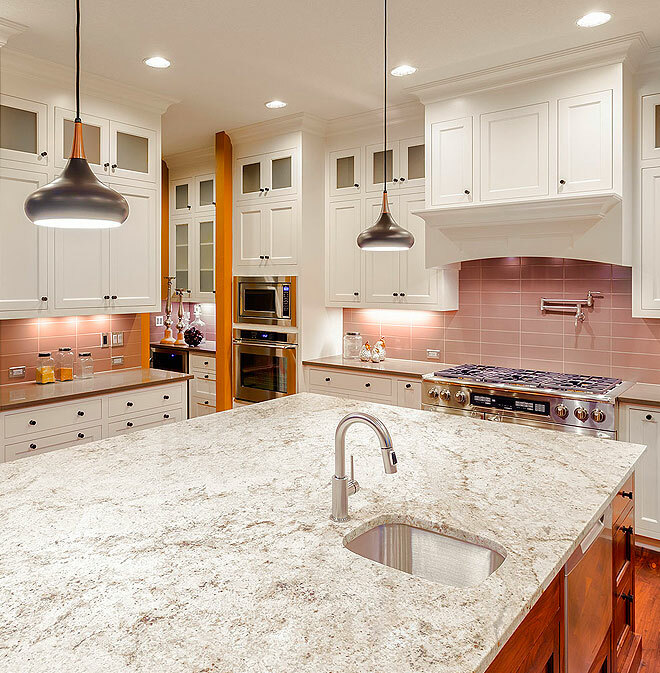 Granite New Jersey of New Jersey’s top highly recommended, fabricator and installer of premium and exotic granite countertops serving New Jersey, New York & Connecticut, and surrounding areas. we specialize in design and fabrication of high-end kitchen Granite countertops, Marble vanity tops and stone fireplace surrounds. 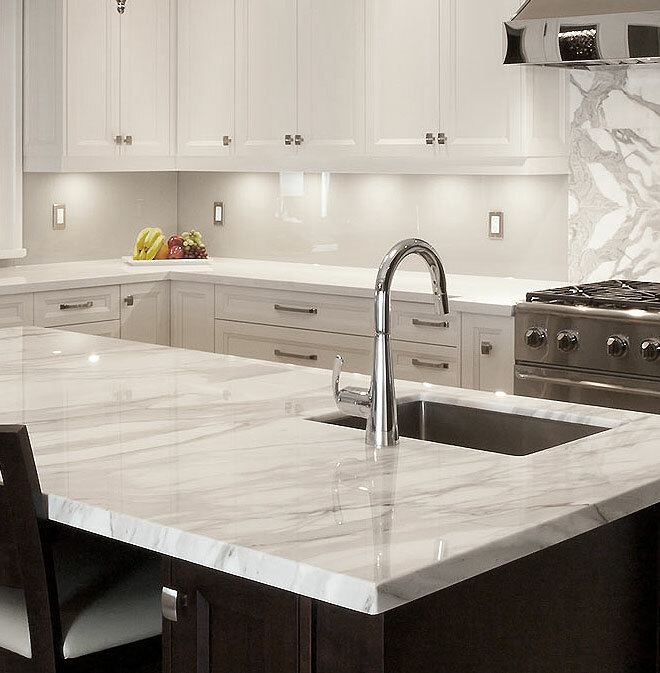 Our experience and thousands of installations give Granite New Jersey the knowledge and skills to transform your ideas into finely crafted masterpieces. We look forward to helping you turn your vision into a reality. 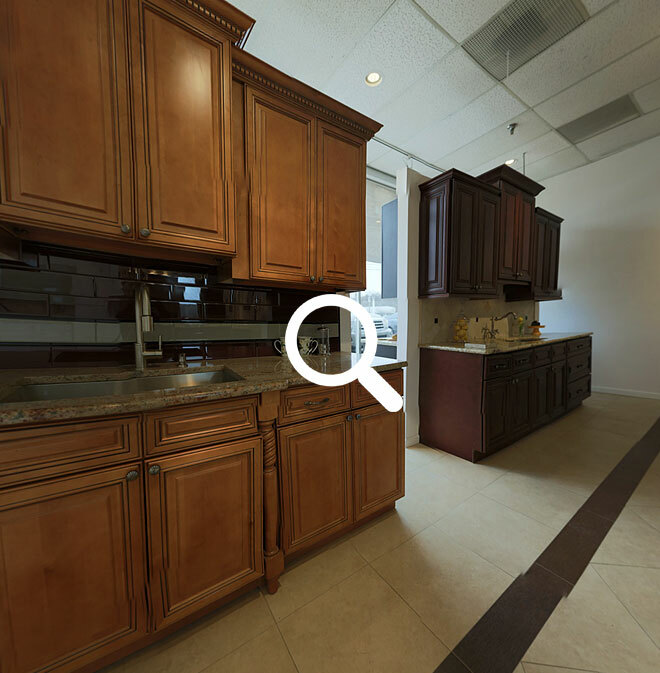 As an additional service to you, Granite Sale New Jersey offers a “one stop shopping” atmosphere.